Wood burning fireplaces have been traditionally used for producing warmth and coziness throughout the cooler seasons. These are economical as compared to the modern-day air heating systems. But one notoriously predominant issue with fireplace is they cause a lot of pollution in terms of smoke, carbon micro particles and poisonous carbon monoxide. A well operational chimney is entitled to take care of these problems provided you plan your Chimney Sweep beforehand. Chimney created an air pressure difference called ‘draft’ to send the products of combustion out in the air. Any issues in the fireplace and chimney would produce excessive smoke and the combustion gases to a large extent. It is recommended to maintain a clean fireplace. Just start hunting by “Chimney Sweep near me” on the internet search engine and you will find a list of professional Chimney Sweep service providers. 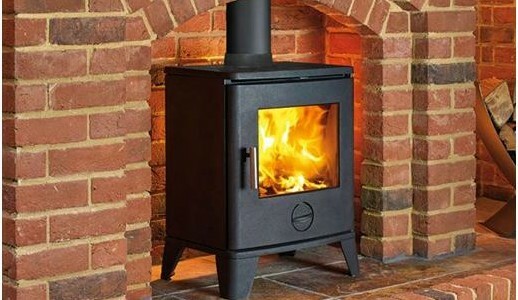 An authentic and professional Chimney Sweep is well qualified to clean the smoke chamber, chimney flue and fireplace. In the warmer seasons, you might have used the fireplace cabinet as a storage space. Similarly, the chimney is exposed to wind and heat. So, there might be some potential issues with structure and operations of your Chimney. Hand it over to the professional Chimney Sweep and he would clean the chimney and fireplace. Also, he these people are trained to meticulously inspect and ensure the potential hazards with your fireplace. Some homeowners would prefer cleaning by themselves. It is not a big deal to solve small problems with your fireplace but when it comes to deal with major issues, it is recommended to take help from professional Chimney Sweep. For example, you can’t fix the structural damages and install a new Chimney lining. It must be done by an expert. Also, sometimes the homeowners complain about smelling paint. This happens when you start the fire in new or newly painted wood stove. In addition to this, the modern homes are tightly sealed which restricts entry of outside air into house. This causes excessive smoke and small carbon particles in your house. Many such details can be identified easily by a Chimney Sweep and they help them maintain a clean fireplace. The wood burning fireplaces can cause a major house fire, if not installed, inspected and maintained properly. Smoke is not good for your respiratory system and must be avoided. Due to continuously wood burning stoves London for months, the creosote is formed on inner walls of Chimney walls. Creosote is prone to cause accidental house fires as it is highly flammable substance. Do keep a check on the activities done by your Chimney Sweep. He will ensure safe and efficient operation of the fireplace. Don’t forget to collect a valid inspection and cleaning certificate from him and keep it on record. In a nutshell, chimney and fireplace are a complex system and needs periodic checks and inspection. If you find an unconventional behavior of your system, don’t panic. Just reach out to the best Chimney Sweep and be assured of your safety.